Mature silage corn is being harvested at increasing rates. Those fields that were planted later this summer are still in various stages of development. Alfalfa fields continue to be cut, windrowed, dried, and baled. All field crops continue to be irrigated due to the warm weather. Cotton plants are looking to have a heavy crop this year, with defoliation anticipated to start roughly 2-3 weeks from now. Peaches, nectarines, plums, and some late variety apricots continue to be harvested, packed, and exported. Prices for stone fruit remain good, with exports going to Australia, Canada, China, Brazil, Chile, Costa Rica, Hong Kong, Mexico, the Philippines, Taiwan, and Ecuador. Older orchards that have been harvested are being pushed out to make way for younger trees and new varieties. Table and raisin grapes continue to be harvested. Raisin grapes that have completed the drying process are now being rolled and collected from the fields. Vineyards continue to be pruned to increase aeration and allow field workers to access the grapes while picking. Exports of table grapes continue to Australia, Chile, China, Colombia, Ecuador, Saudi Arabia, the Philippines, and New Zealand. WonderPom and Early Wonderful pomegranates are being harvested and sent to South Korea. Asian pears are beginning to be picked and packed for domestic and export orders. Early walnut varieties are being harvested and later orchards are being prepared. Pistachios are being harvested and exported to Hong Kong, China, and Thailand. Irrigation of both orchards and vineyards is occurring frequently due to the hot weather. Valencia oranges continue to be harvested primarily for the domestic market. A few are being exported to Mexico. 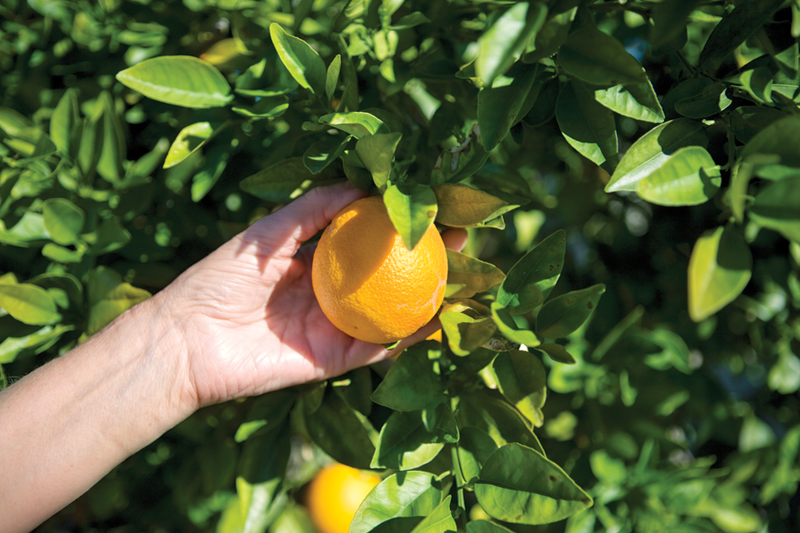 The coming picking season for navel oranges is projected to be 2-3 weeks earlier than normal. Olive fruit continues sizing normally, with a heavy set observed in some orchards. Eggplant, Bell and Jalapeno peppers, and squash continue to be picked and sent to domestic markets or roadside stands. Strawberry fields are now being prepared for planting. Some fields have already been furrowed and plastic laid down. Range conditions are very dry with little forage for cattle to feed on. Cattle at the lower elevations continue to receive supplemental feeding of hay and grain. Herds have been reduced to manage cattle in a short feed situation. Available water at lower elevations continues to decline because of the dry conditions. Shipments from local wholesale nurseries are down due to the summer heat and dwindling plant inventories. New irrigation wells are being drilled due to lower water tables.